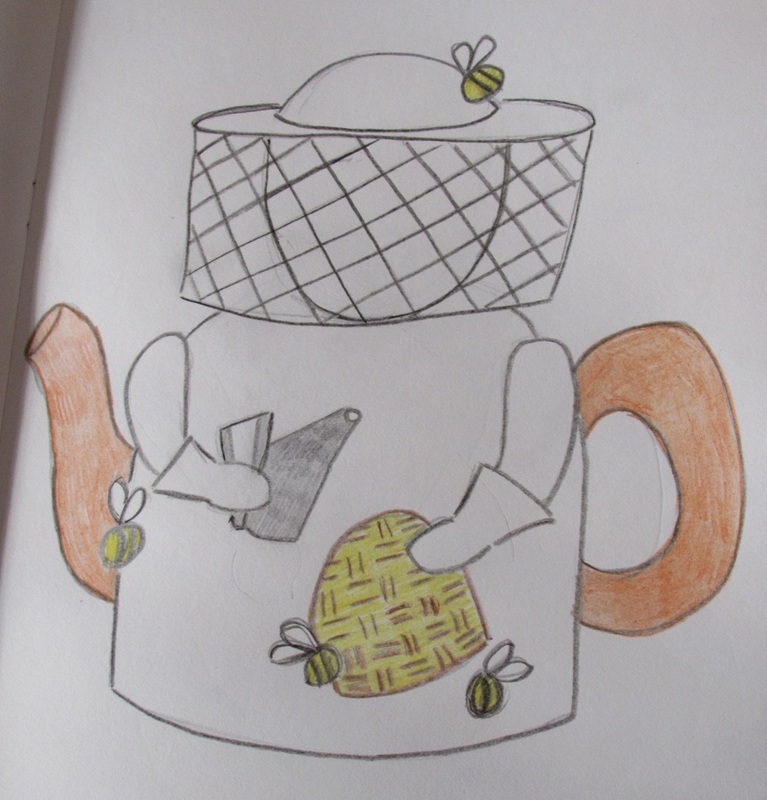 Following an online poll; I am designing a Beekeeper tea cosy. The poll asked people to choose from 5 possibilities which tea cosy I should design next, and as you can see, the bee keeper was the winner. I am secretly pleased, because I rather fancied making a bee keeper and they are rather summery so a perfect tea cosy for the summer. The beekeeper will have a traditional style especially around the hat. The net on the hat will be moveable so that it can be worn on top of the hat to reveal the face. I thought I'd make her a lady bee keeper because a friend has recently started bee keeping this year, so thought I'd base it on her. The tea cosy will be holding a skep and she will also have a smoker with her, after all she doesn't want to get stung. I think the smoke will be the biggest challenge. Of course there will also be lots of bees buzzing about and fussing around the skep. I think the bees and the traditional bee keeper’s hat will make this tea cosy really charming and perfect for breakfast tea with honey on toast.